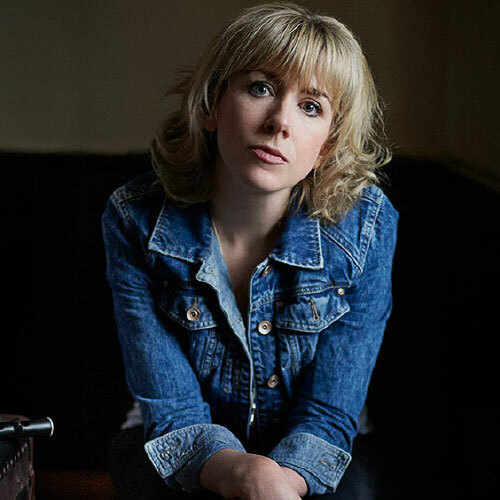 Muireann Nic Amhlaoibh is a multi-award winning traditional singer and musician from Corca Dhuibhne, West Kerry. Most recently she received the RTÉ Radio 1 Folk Award for Best Traditional track in 2018. A leading exponent of the sean nós style, her repertoire also includes songs from a wide variety of folk and contemporary sources. Her childhood in West Kerry saw her immersed in a rich cultural environment and vital living tradition, which was to be hugely influential on the foundation of her distinctive vocal and instrumental sound. She has enjoyed a successful career as a touring artist, with over thirteen years experience as lead singer and flute player with the Irish traditional supergroup Danú, as well as a performing as a solo artist. Muireann is also a popular television presenter, having hosted a range of programmes for Irish and Scottish TV over the past decade including the celebrated traditional music series “Port”. Most recently, she has also turned her attention to a collaborative Irish language electronic music project entitled Aeons.